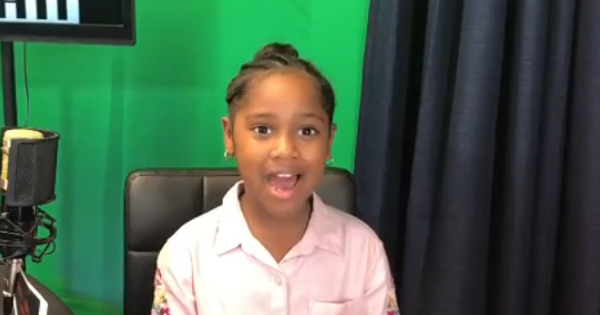 Ani'yah Cotton, an 8-year old aspiring actress, has her own YouTube show called The Ani'yah Cotton Show where she showcases her great hosting skills and her many other talents. Her charm is winning the hearts of many, and she already has thousands of fans and subscribers! "When I grow up, I want to be the biggest talk show host in history," Ani'yah said in an interview with ABC 13. She launched her YouTube channel two years ago when she was just 6 years old, and Ani'yah has already met and interviewed a lot of people -- from performers and artists to families struggling with addiction and poverty. Ani'yah has already accumulated thousands of views on her YouTube videos and has 1,300 Instagram followers. "It's going to be harder for me when I'm older, but right now they know I am a kid so they don't want to give me too much all at one time," she said. "I just want to get so many likes because you know you can get paid like that." Ani'yah, who is a third grader at Ernest McGowen Elementary in Houston, Texas, also shows her other talents in her show, such as dancing, modeling, singing, designing, and entrepreneurship, or in her case, kidpreneurship. To keep the energy going, she said the secret is getting "some water, juice, doughnuts, anything like that to make us feel hype." Definitely, a bright future is waiting for this young girl with a great personality.